Designed for medium to large sized swimming pools the Duratech, Dura-22 Swimming Pool heat pump has an impressive 22Kw of heating power, this is the single phase power supply version. 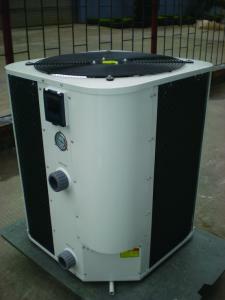 Features include being able to control the pool water pump by the Dura-22 itself. Designed and manufactured by the Belgium company Duratech, with the spares and service back up you would associate with one of the premier pool heat pumps manufacturers.